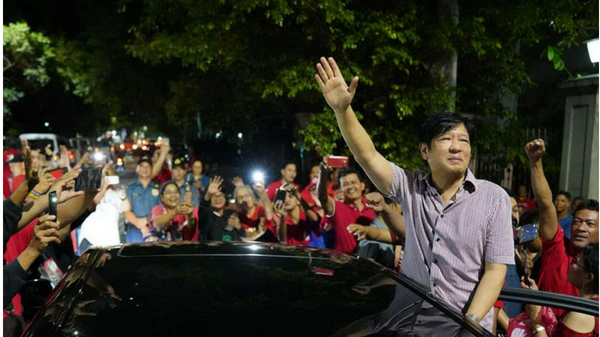 The son of former President Ferdinand Marcos Jr has set his eyes on the highest political seat in the country. President Duterte recently commented that he will step down if Marcos or Senator Chiz Escudero succeed him. Last month, Bongbong already confirmed during an interview with the Financial Times that he is seriously eyeing the Philippine presidency. He confirmed, “My career is politics, and, of course, you aspire to as high a stature within your chosen field as you can achieve — and that would be president in my case." He added, “In my father’s administration, I kept hearing ‘nation-building’, and I do not hear that phrase any more. It’s more politicking than nation-building." Bongbong also asserted that corruption allegation against his later father’s administration were not proven. He said, "None of the cases that were filed against us have been won." In June, the Supreme Court affirmed the Sandiganbayan’s August 2010 and 2011 dismissal of a civil suit on the alleged ill-gotten wealth of the Marcos and their cronies.